If you’re a PlayStation Vita gamer and picked up Rayman Legends, you may have noticed that the game is missing some content. Thankfully, it appears that the content might be headed to the portable system later. Thanks so much for you passion about this game. I’m currently playing the Vita version and loving it. That said, I know some of you have questions about the Vita version, so here’s what’s going on: Due to a longer development time than expected, we couldn’t initially include the Invasion Mode – essentially, a second take on existing Rayman Legends maps — in the Vita version of the game. However, we can confirm that the Invasion Mode will be added via a free patch, at a later date. 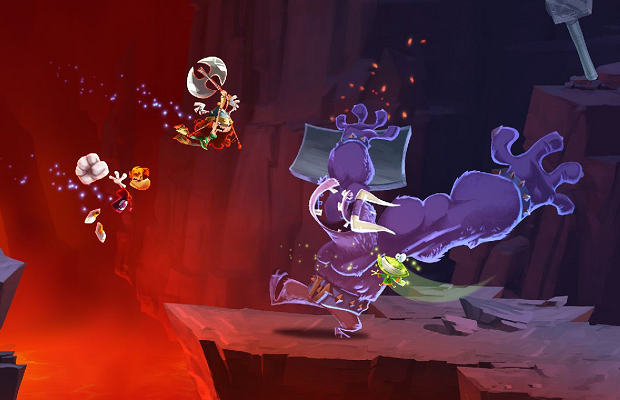 With more than 100 levels, online Coop and challenges, Kung-Foot mini-game, 5 exclusive touch challenges developed specifically for the VITA and 2 exclusive costumes, Rayman Legends already includes a lot for customers to love, and features the same outstanding graphics and gameplay design as the home console versions. So there you have it. You’ll get the content with a patch to come later. Would you have accepted a delayed release in exchange for the complete product? Tell us in the comments or find us in Facebook and Twitter!